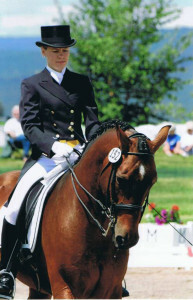 Morgan Dressage Association – Dedicated to Promoting and Supporting Morgan Horses in Dressage. 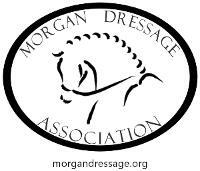 Founded in 1999, the Morgan Dressage Association is a National Service Organization of the American Morgan Horse Association. The MDA’s goal is to support the needs of horsemen and women who train, compete, breed and promote Morgans in one of the fastest growing equine sports – dressage. Morgans are making their mark in this exciting and demanding sport as they are increasingly being seen as wonderful dressage mounts that are especially suited by temperament, size and athleticism for juniors and serious amateur competitors. The MDA boasts members across the United States and Canada that include United States Dressage Federation All-Breeds Award winners, USEF Horses of the Year, and AMHA Open Competition Champions. MDA members also include many riders who rarely compete in the show venue, but instead focus on the personal rewards offered by dressage in the comfort of their own barns and backyards. The Association recognizes its members achievements in competition by its year-end Awards of Excellence, as well as helping MDA members continue their education in dressage on their Morgans through its scholarship program—the only program of its kind among the AMHA National Service Organizations. 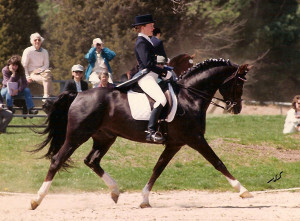 In addition to its unique awards and scholarships, the MDA provides its membership educational information geared toward helping dressage riders with their Morgans in the sport through its award-winning newsletter, and through its email bulletin, “Extensions.” The MDA also has a Facebook page that highlights the successes of Morgans and Morgan-crosses in dressage. For more information on membership in the MDA and a membership application, please go to our membership page.